Sending the Egyptian-Saudi maritime demarcation deal to parliament is another violation of the law and Constitution, said lawyer Malek Adly, who is the initial plaintiff in the “Red Sea islands” court case. His statements came following the cabinet’s approval for the Egyptian-Saudi maritime demarcation deal, which transfers the sovereignty of the Red Sea islands Tiran and Sanafir from Egypt to Saudi Arabia. The cabinet forwarded the agreement to parliament on Thursday. The decision came just a few weeks before the scheduled final ruling of the Administrative Court on 16 January over the government’s appeal against the nullification of the deal—a verdict that was issued earlier. Adly is one of the plaintiffs who opened the case in court in April. Subsequently, the court had annulled the deal in June, and asserted Egyptian sovereignty of the islands, but the government appealed the decision. On 8 April, the government concluded the demarcation deal with Saudi Arabia during an official visit by Saudi King Salman bin Abdulaziz Al-Saud. It sparked widespread discontent among both pro- and anti-government factions in the country, leading to a number of protests and arrests. The lawyer said that the cabinet’s decision is a violation since the islands’ sovereignty is still disputed in court, adding that the surprising decision of the cabinet might impact the court ruling in a way that is not in the opponents’ interest. Throughout the court sessions, the government failed to submit valid documents proving Saudi’s sovereignty over the islands. The presented documents even sometimes proved that the islands were Egyptian. Adly added that the decision will lead the signatories to face Article 123 of the Penal Code, which punishes any public employee who defies a court ruling with imprisonment or expulsion from office. The lawyer’s statement implies that the government would face a criminal case if the parliament approved the agreement, and even criminal investigations. 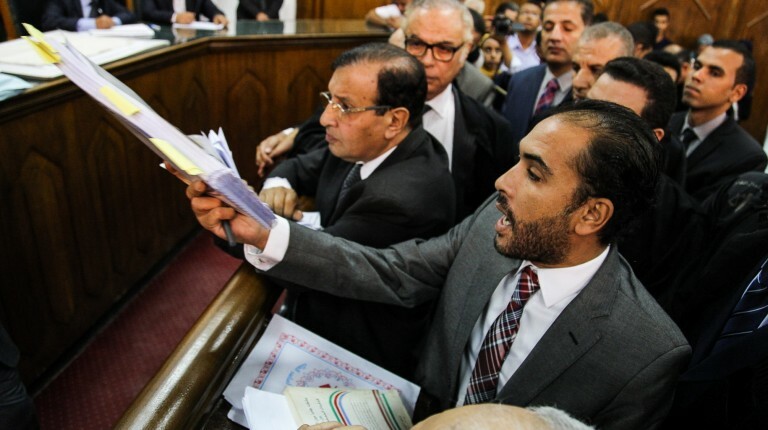 “The cabinet does not have the authority to sign international conventions in accordance to the Constitution and no one has the right to waive any Egyptian land in accordance to the Constitution,” the lawyer said. He further added that “no authority across the world has the power to violate the Constitution that it had sworn to respect”. Following the decision, a large number of political parties, lawyers, and activists expressed their outrage and rejection on social media platforms, asserting their belief that the islands are Egyptian. Moreover, member of parliament Haitham El-Hariri will present a statement during Monday’s parliamentary session, calling on the parliament to not approve the agreement, since this would be a violation of the law and Constitution. Last week, MP Mostafa Bakry demanded that Prime Minister Sherif Ismail attend to parliament on 2 January to clarify why there has been a delay in conveying the details of the islands agreement to the House of Representatives.